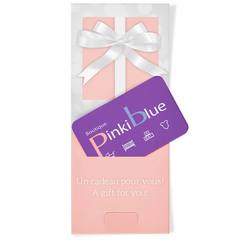 Pinkiblue, located in the heart of Montreal, is a boutique catered to ever-growing families, and we strive to provide the best service possible to our patrons. Customer service is what separates us from the pack, we go a step beyond and are consistently there for our clients when they are in need. Not only are we a store but a dependable and trustworthy source of knowledge and are happy to assist you every step of the way. As a result of our service, our customers are loyal and return for every pregnancy along the way. We often see expecting families come back in preparation for the birth of their second, third and fourth child. With years of experience, PinkiBlue has assisted thousands of families as they have grown and expanded. We are very proud of our store, and strive to bring this hands-on approach to our online store. At any time, we highly encourage you to reach out to us, and we would be more than happy to get you set on the right track for purchasing all of what you need and none of what you do not.